Art was my favourite subject throughout school along with Woodwork and Metalwork. I had far more success with metal based projects thus leading me on to study Silversmithing and Jewellery Design at Birmingham’s School of Jewellery. After university, I was accepted into a scheme to help artists make a business from their craft. Then in 2000, I received funding to enable me to work at my business full-time. 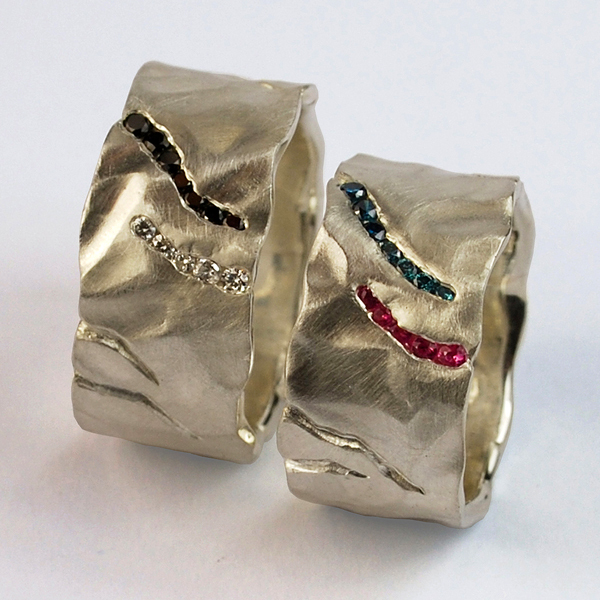 I have produced and sold many collections over the years, as well as taken on many commissions inspired by my style. My inspirations are both manmade and natural. Objects that shine and sparkle always catch my eye and I love the natural textures of bark, stone and rocks. These details have developed into the distinctive texture that has become the signature of my work. 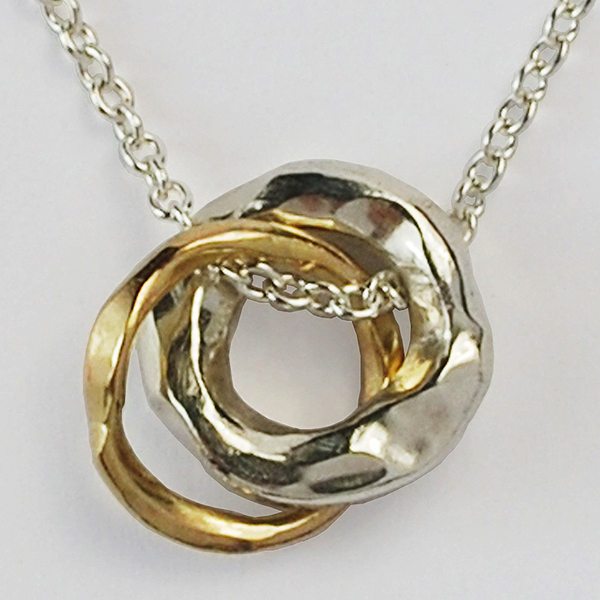 Modern, consisting of silver and gold textured circles in many different sizes, linked together with a polished finish. 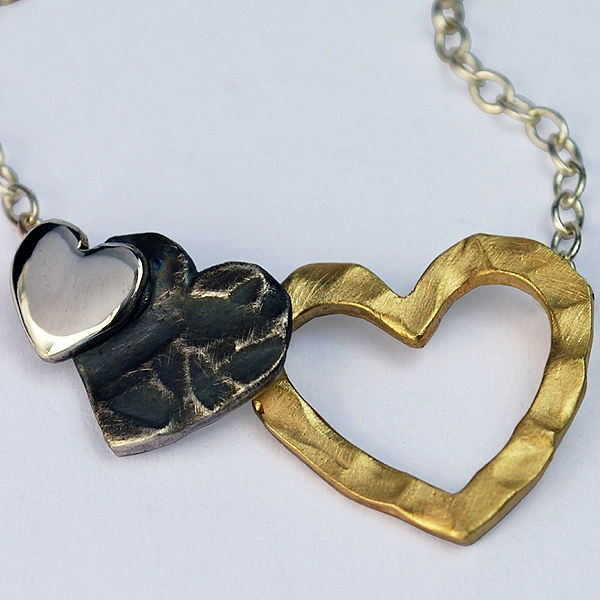 Valentine, combines polished, satin and oxidised silver in each piece and the collection is entirely made of hearts. 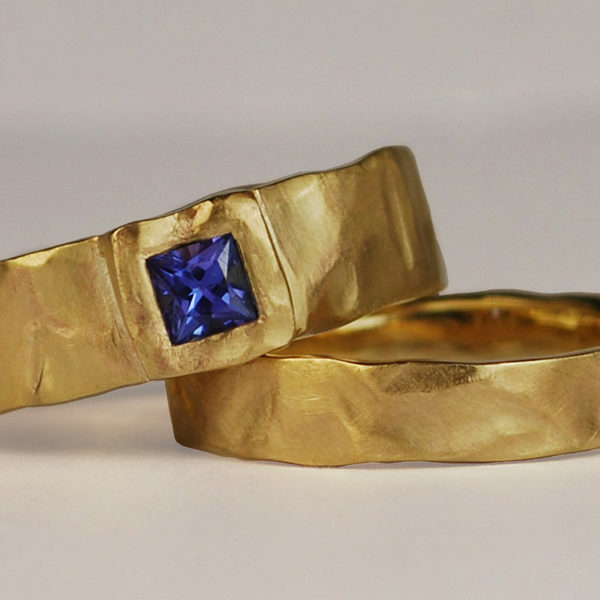 Rings, for every day, for men and women, for weddings, for anniversaries. Made of silver, gold, diamonds and gemstones.